Bank Windhoek, a proud member of Capricorn Group, today proudly announces the introduction of our new Women in Business financial solution. Managing Director, Baronice Hans says: “Bank Windhoek takes pride in being a catalyst for this as a sustainable opportunity and are proud to introduce the Women in Business solution. Women are a powerful force in the Namibian economy and a smart choice for businesses to invest in. As such our offering focusses on the investment in women- owned and run businesses as a smart business choice. “We are mothers, we are nurturers, providers, wives, daughters, sisters, chefs, councillors, and we revel in these roles simply because we can. And because we are often more fulfilled as a result. “On the other end of the spectrum is our ability to reach our full potential and by building the businesses we dream of, contributing to society and leaving a legacy. In essence, doing well whilst doing good!” Hans said. “With this unique offering, customers will get a Women in Business Current Account, one or more Savings Purse Accounts to cater for her various savings needs, tailored insurance benefits, free access to digital payment solutions, free travel insurance and access to our new Bank Windhoek Visa Credit Card product,” said Hans. The offering also introduces a bundled fee structure. “Women who own their own businesses who choose to switch to the Women in Business financial solution or new customers taking up the solution will get a minimum of one Savings Purse designed to save for future savings goals; whether it is for her wedding, a holiday, a large purchase item or a child’s school fees. These Purses also carry favourable interest rates. Customers have the option to add as many purses they deem necessary. Bank Windhoek’s new Credit Card offering also has added benefits as part of the Women in Business financial offering. The Bank Windhoek Visa Credit Card will gives clients flexibility and offers a 55-day interest free period on all transactions, free travel insurance and airport lounge access for Platinum Credit Card holders. 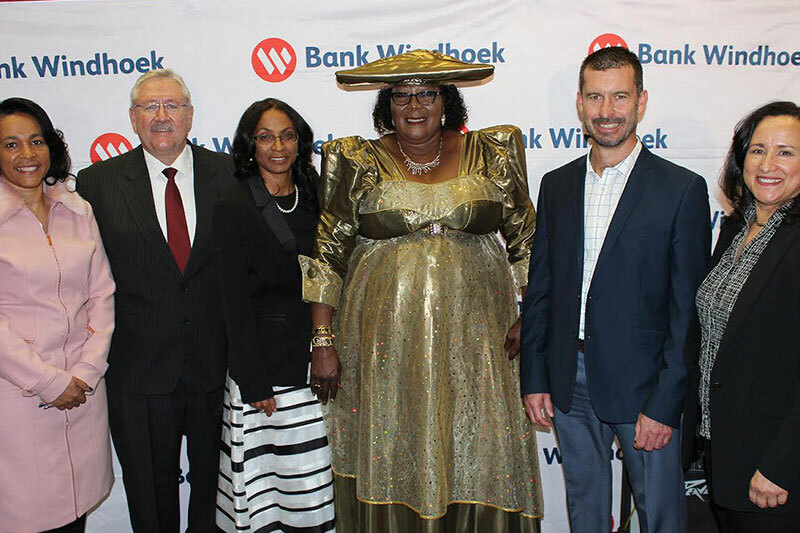 “With the Women in Business financial solution, Bank Windhoek acknowledges the important role women play in society and with this offering, enables them to build both their personal lives and their businesses. That is why we are creating financial offerings dedicated to meeting their needs,” Hans concluded.